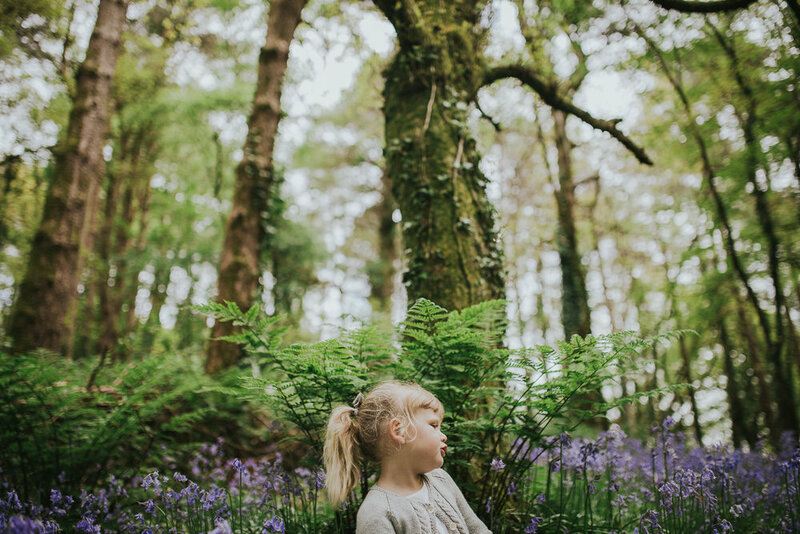 It's almost time for the very popular mini sessions in the amazing Bluebells here in North Cardiff. There's just 1 session slot left for Saturday the 5th May and just a handful for Sunday the 6th May! If you are interested in a session buzz me an email asap to secure a place! When selecting our outfits for the session, think neutral soft colours. I am always a huge fan of natural textures as they just work so great for outdoor photos! The other thing I wanted to cover was the joyful British weather. I am checking daily on the progress of the flowers and it's looking like the weekend of the 5th+6th May will be just perfect!